I was at a fancy golf club with Hacker (real name) and two other friends from home. Teeing off ahead of us was Jack Nicklaus and three his-age old guys. The teeing area was at the top of what looked like a miniature ski jump. At first I thought the guys with Nicklaus were friends of his, but then I realized that they were part of some outing—like, maybe they had won their round in a contest, or had bought it in an auction. They were taking forever, and they were kind of hard to see, and after a long time Nicklaus waved to my friends and me and told us to go ahead. 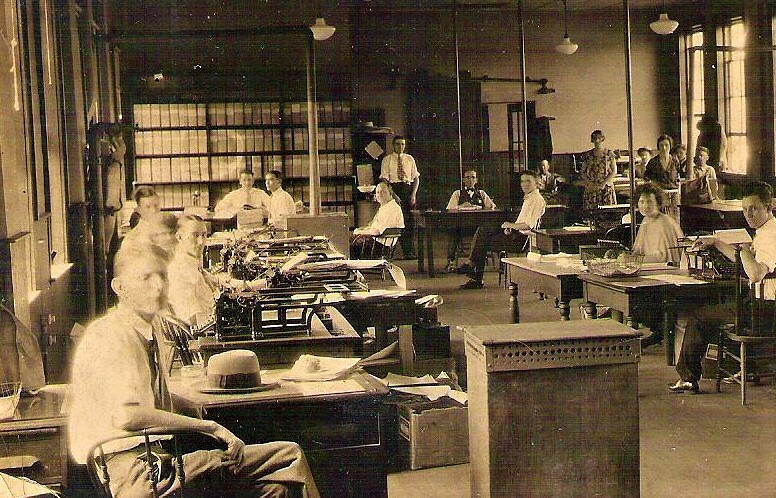 We ran to get our clubs, which for some reason we had left somewhere else, then climbed up the ski-jump thing—the top of which was now indoors and looked like an olden-days railroad office, with lots of desks and chairs and boxes and dark wood paneling. I was going to tee off first, but I had a hard time finding room to swing, because I now saw that I was going to have to hit my drive through a fairly small window and there were chairs and desks in the way. This went on for a long, long time. I tried to tee up my ball on a chair cushion and wondered why the only holes in the cushion were the ones that I was making now, with my tee: had no one teed off from this chair before? Then I realized that I was aiming toward the wrong window, and had to start over, in a new place. Then I realized that I really ought to be aiming at a third window, and after more struggling with my stance I realized, furthermore, that this third window could be opened in a different way—a way that made the opening somewhat larger. Everything kept taking forever, and I never seemed to have enough room to swing, and I worried about hitting a bad shot in front of Nicklaus, and I wondered if Nicklaus was now regretting having told my friends and me to go ahead. 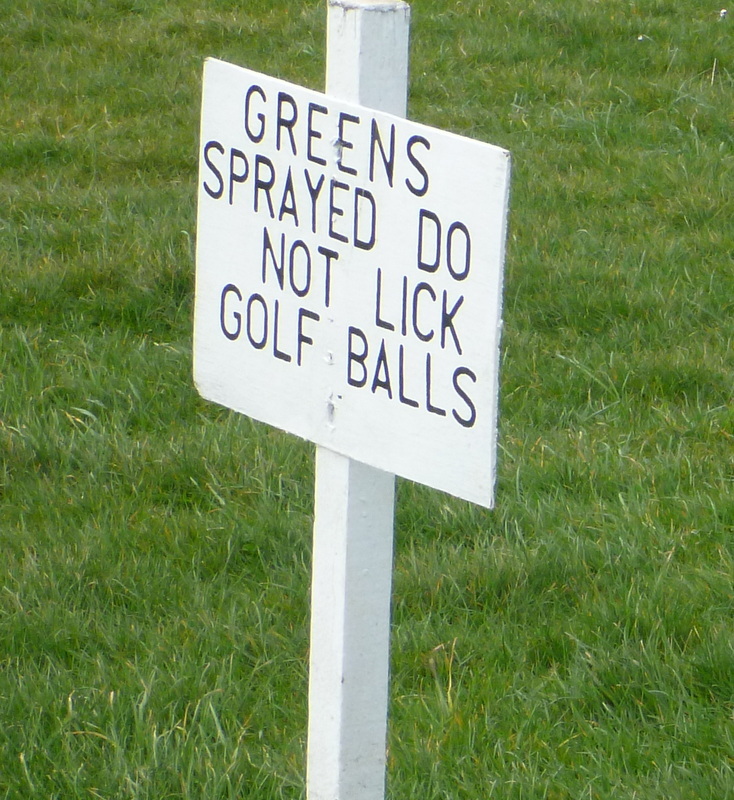 I also wondered why no other golfers had come up behind us. Then Nicklaus said something supportive, and I woke up. 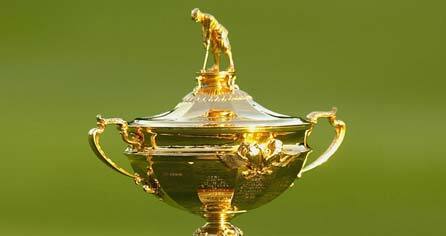 The first official Ryder Cup, between the United States and Great Britain and Ireland, was held in 1927 at the Worcester Country Club, in Worcester, Massachusetts. The United States won, by a lot. Then Britain, then America, then Britain, then America, then America again. The competition was suspended for the duration of the Second World War. It resumed in 1947, and America won five times in a row. Britain won in 1957, and then the Cup returned to the United States and stayed there until 1985, by which time the inclusion of the rest of Europe on the British side, beginning in 1979, had restored both balance and suspense. The only close contest between 1959 and 1985 was in 1969, when the two sides tied for the first time ever. That tie was secured on the final hole of the final match, when Jack Nicklaus conceded a short par putt to Tony Jacklin, halving the hole, halving the match, and halving the Cup. After picking up Jacklin’s marker, Nicklaus said, “I don’t think you would have missed it, but I wasn’t going to give you the chance, either.” Nicklaus’s gesture has been celebrated ever since as one of the greatest acts of sportsmanship in the history of competition. On the other hand, the Concession could also be viewed as one of the greatest acts of gamesmanship. It overshadowed the long eagle putt that Jacklin had made on the previous hole to square the match, and Nicklaus didn’t concede Jacklin’s par until after he’d made his own, from double the distance. The Concession made the half look less like a British triumph than like an American act of charity, and that’s pretty much the way it’s been treated ever since. Nicklaus also left forever hanging the possibility that the reigning British Open champion might have gagged over his two-and-a-half footer. And that’s yet another cool thing about match play. Deane Beman won the U.S. Amateur twice and the British Amateur once, and between 1969 and 1973 he won four times on the PGA Tour. 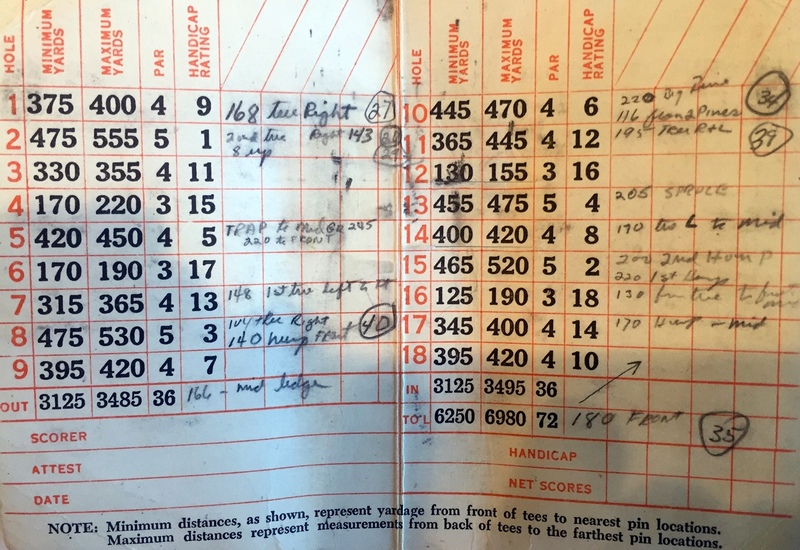 Beman’s homemade yardage guide for the 1954 U. S. Jaycee Junior Tournament, which was held on the golf course of the University of New Mexico. 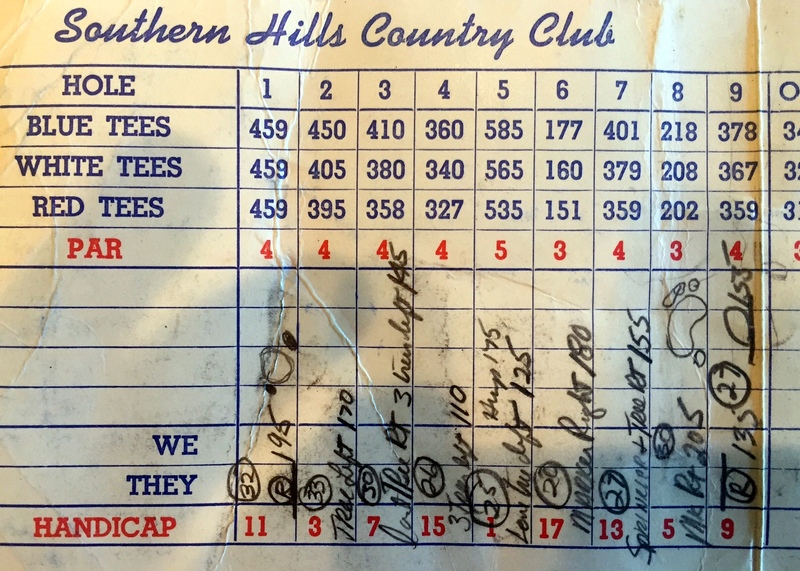 Beman’s front-nine notes from the 1958 U. S. Open, at Southern Hills. The circled numbers are green depths. Beman’s notes from Colonial, in 1960. 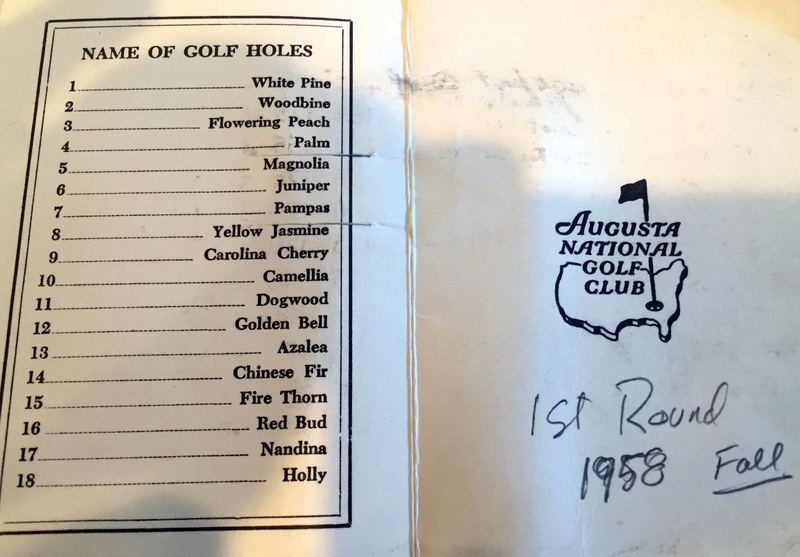 Beman’s notes for the 1959 Masters. 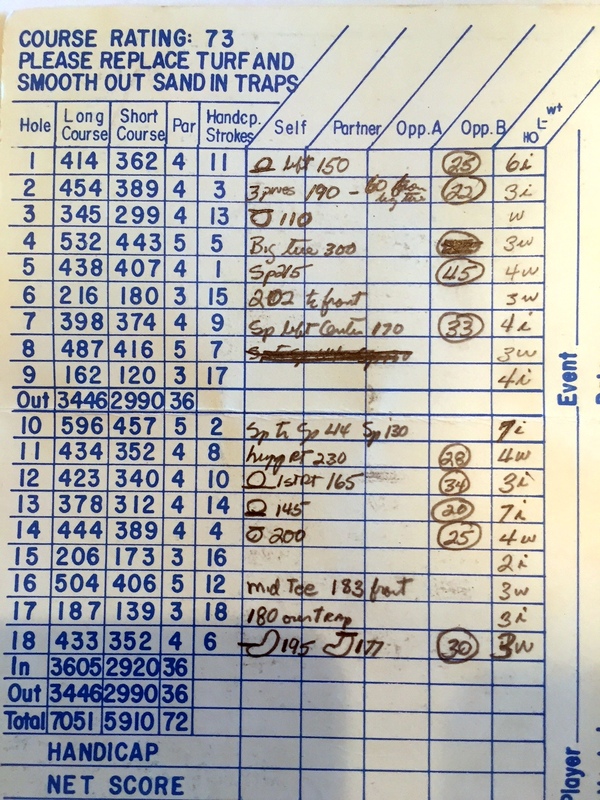 Nowadays, tour players and their caddies carry extraordinarily sophisticated yardage books, which contain not just distances but also topographical details, and even lousy golfers can determine the length of just about any shot within a few feet, if they own a laser rangefinder. But players at all levels were skeptical at first, and Beman’s idea didn’t really catch on until the 1970s. Arnold Palmer, among many others, though it was dumb. Ha! Beman’s notes for Pinehurst No. 2. “My notes became much more sophisticated once I turned professional,” Beman said. 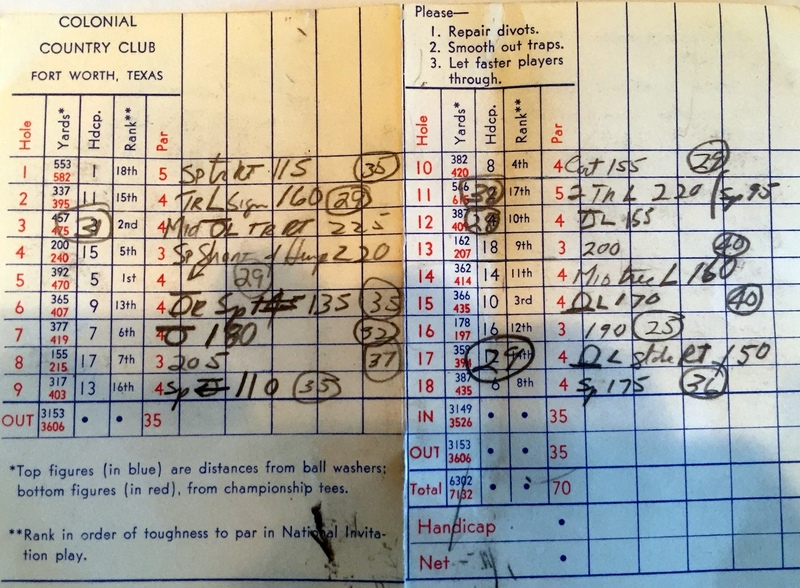 He saved those scorecards, too — but the ones in the photos above show how it all began. Do You Get Free Relief From a Sinkhole? Last year, a Champions Tour event made history by becoming the first PGA Tour-sanctioned tournament to be held partly on a par-3 course. his April, the same tournament returned to the same course, called Top of the Rock, and if the timing had been slightly different it might have made history again. 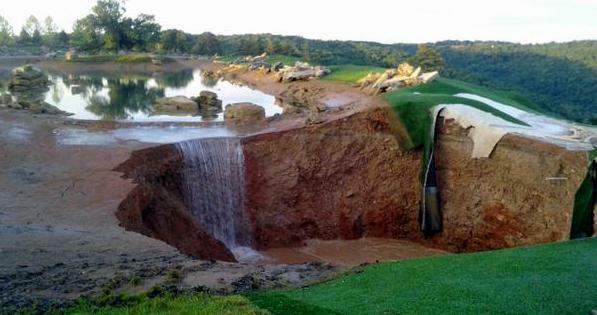 Just a month after the tournament (the Bass Pro Legends of Golf at Big Cedar Lodge, won by Billy Andrade and Joe Durant), four sinkholes opened up near the driving range. Nobody was hurt, but the sinkholes were big enough to have held the full field, with plenty of room left for just about the entire Golf Writers Association of America. Sheets of fake white bunker sand and closely-mown artificial turf drooped over the edges of the main opening, like fondant icing on a wedding cake. 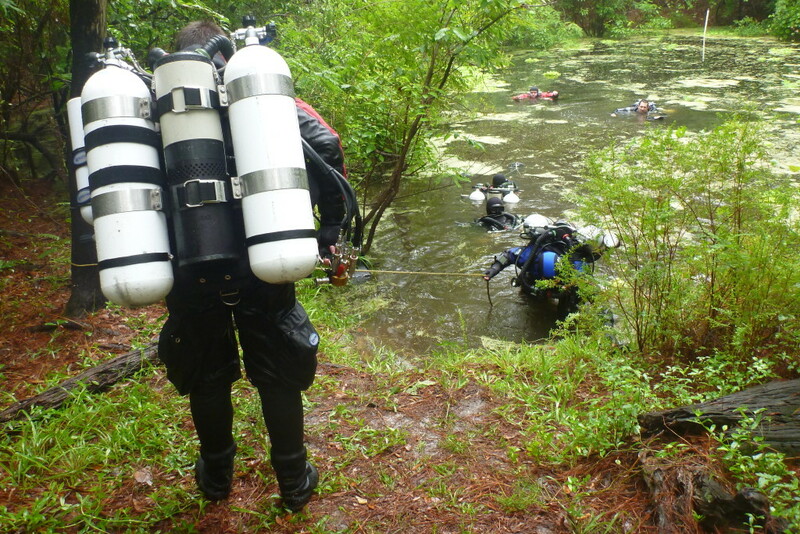 The drop to the deepest part was forty feet. Top of the Rock was designed by Jack Nicklaus. It’s in southwestern Missouri, in a gently mountainous region called the Ozarks, and it’s virtually next door to the town of Branson, which is sort of what Disney World would be if you replaced Epcot Center with Dolly Parton. The bedrock underlying the area is mostly limestone, which consists of the solidified, calcium-rich remains of many millions of years’ worth of dead sea creatures. Rainwater becomes mildly acidic as it picks up carbon dioxide from the atmosphere. When it lands on terrain like that, it seeps through the soil and into fractures in the rock, then gradually enlarges the fractures into fissures and conduits and caves and subterranean streams, creating a Swiss cheese-like landscape of a type known as karst. If the voids become large enough, the ground above them can collapse. 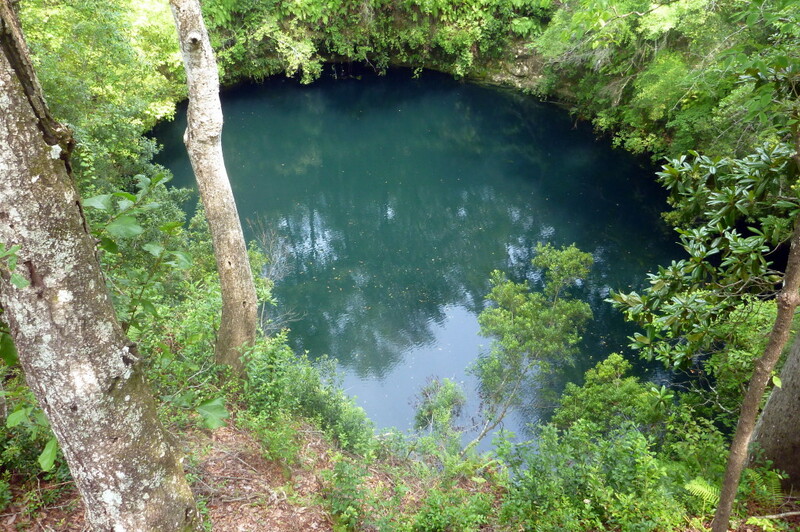 In 1981, a sinkhole in Winter Park, Florida, near the center of another golf-and-karst region, swallowed five Porsches, a three-bedroom house, and the deep end of a public swimming pool. The photo above is of a sinkhole in Florida called Big Dismal. 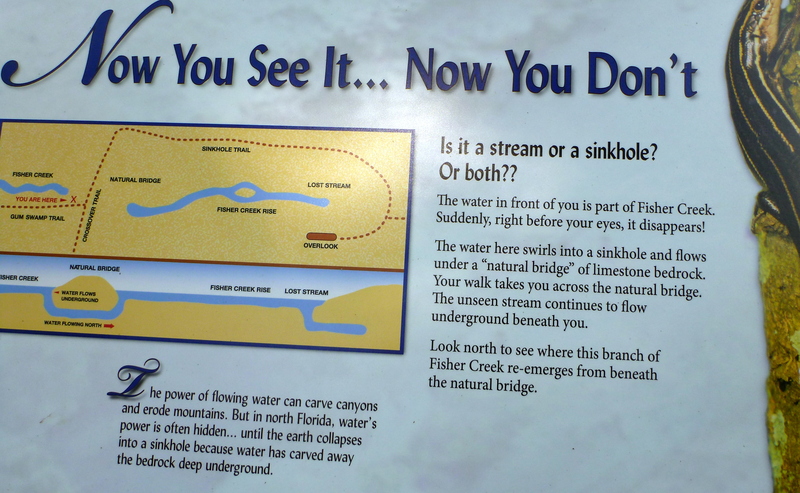 I visited it a couple of years ago while researching an article about sinkholes for The New Yorker—which you can read here. 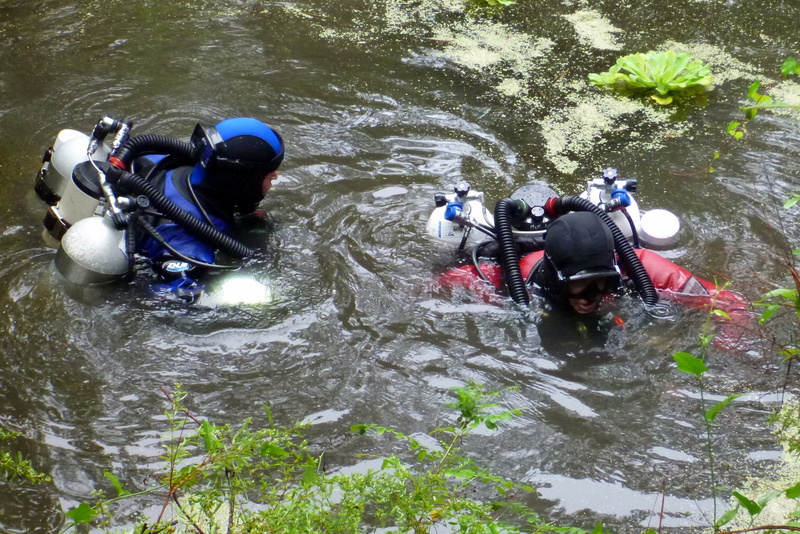 I also spent some time with a group of divers whose hobby is exploring sinkholes and underground streams. I grew up in Kansas City, about two hundred and twenty miles north of Top of the Rock, and when I was a kid my family visited the Ozarks fairly often. During one trip, I got into trouble for standing behind my father and pulling his hat down over his eyes while he was driving. (This was the era when dads wore fedoras and nobody wore seat belts.) My sister and I would beg him to stop whenever we passed a billboard advertising a cave, as we seemed to do every couple of miles. He always refused, saying the caves were just holes in the ground and could give way at any time. Now, half a century later, I guess I can see his point—although I still think we should have stopped. You didn’t see them because they happened in a different Ryder Cup, the one the Sunday Morning Group held while the American tour stars were getting whupped in Scotland. 1. What is the source of Ryder Cup Europe’s pathological golf-course selections? In the sixties and seventies, the trans-Atlantic side of the contest was held exclusively on Open courses: Royal Lytham & St. Annes, Royal Birkdale, and Muirfield—an over-reliance on England, granted, but otherwise impeccable. Since then, the thinking has apparently been that crummy venues deserve international exposure, too. The worst is the Belfry, also in England, which has hosted the matches four times—more than any other course in history. The Belfry has just two good holes, the ninth and the eighteenth, and most matches don’t reach the eighteenth. This year’s course, at Gleneagles, was in the works when I first played golf in Scotland, in the early 1990s. At that time, the Scots had seemingly decided that the way to attract American golfers to Scotland was to hire Jack Nicklaus to build something that would remind them of Florida, cart paths included. Somebody, please, wake up the people in charge. The PGA Centenary Course, as Nicklaus’s creation is now known, isn’t even the best course at Gleneagles. 2. There’s been lots of angry speculation about the reasons for this year’s American defeat, but no one, so far as I know, has hit on the real explanation: the extraordinarily annoying pre-shot routines of Jim Furyk and Keegan Bradley. In TV broadcasts of regular tour events, producers have become adept at keeping the cameras away from those two until they’re almost ready to make a real stroke. During the Ryder Cup, though, so little actual golf is under way at any moment that they had no choice but to make us watch full sequences—all the tics and twirls and feints and bird peeks and pocket scrunches and everything else. True, we were spared Furyk’s 5-Hour Energy wardrobe, and thank goodness for that. But the other stuff was increasingly infuriating, and by Saturday afternoon (I’m guessing) so many U.S. TV watchers were mentally rooting against Furyk and Bradley that the cosmic tide irretrievably turned. Those two golfers, between them, won two points and lost four; turn those Ls to Ws, and it’s a blowout the other way. Now, back to the other Ryder Cup. The two shots you haven’t seen were both hit by Doug, who was my partner. In each case, he went on to triple- or even quadruple-bogey the hole. But that was OK because I had him covered. The modern golf season never ends, but it does begin. When the first contestant tees off at Augusta National Golf Club on Thursday morning during Masters week, golfers all over the world reset their internal clocks. The first page in a golfer’s calendar is April. For the world’s best players, the Masters divides one season’s aspirations from another’s. A tour victory means recognition, money, autograph requests, endorsements, exemptions—and an invitation to Augusta. As the first full week of April draws near, winless players juggle their schedules to maximize their chances, and television commentators count down the tournaments remaining. When the Masters begins, every competitor has a theoretical chance of matching Bobby Jones’s unduplicated feat of winning all four major tournaments in one year; when the Masters ends, the Grand Slam field has shrunk to one. 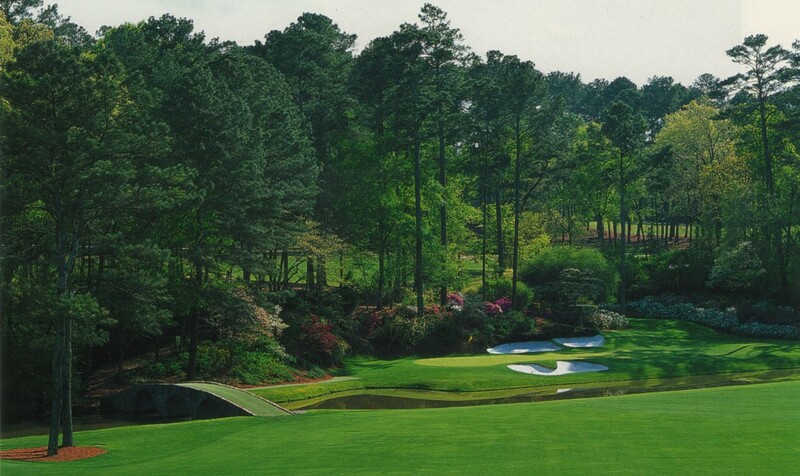 For distant golf fans, the first glimpse of Amen Corner on TV is proof that winter is gone. Northerners who haven’t swung a club since Halloween scrounge an old ball from the garage and roll a few wobbly putts across the family-room carpet during commercials. A swirling gray New England sky stops looking like a vestige of December and begins to seem like a harbinger of spring. The hours crawl from Saturday evening till Sunday afternoon. Meetings and social engagements are ignored or rescheduled; no avid golfer was ever married on Masters weekend. 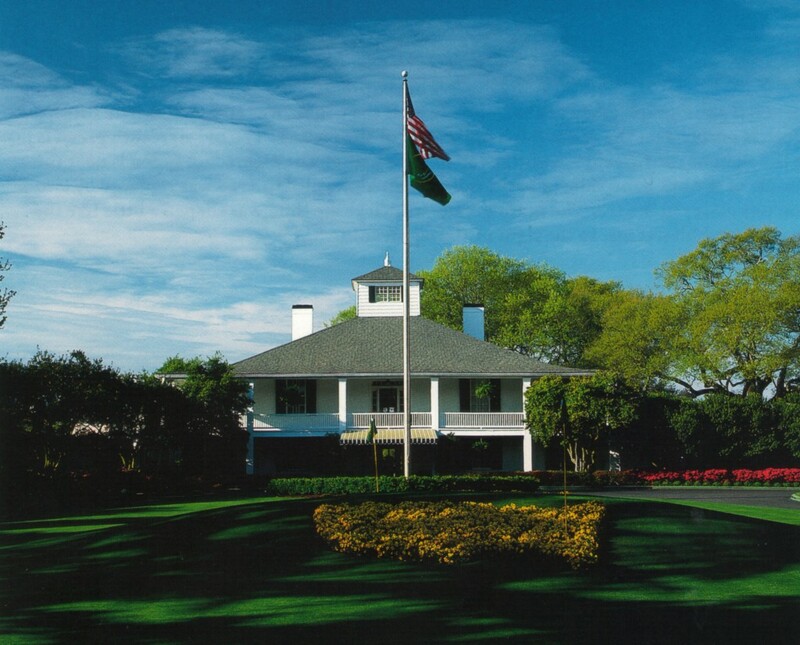 In 1987, two fans from Olympia Fields, Illinois, named their new daughter Tori Augusta National. For sportswriters, the Masters is the plum assignment of the year. It is the first trip entered in a reporter’s appointment book, and it is written in ink. Journalists take the Masters personally. Herbert Warren Wind, The New Yorker’s incomparable golf correspondent for many years, once stopped another reporter upon arriving in Augusta’s airport and anxiously inquired about the state of the greens: “Are they firm?” Senior golf writers postpone hip replacements and cataract operations until just after the tournament, giving themselves a full fifty weeks to recover. For non-golfers, the Masters is the one tournament of the year that compels attention. Over breakfast on Sunday morning, a golfer’s non-playing spouse may suddenly offer an informed observation about the chances of Woods, Mickelson, or McIlroy—the result of an hour’s seduction by the sports page or the TV. 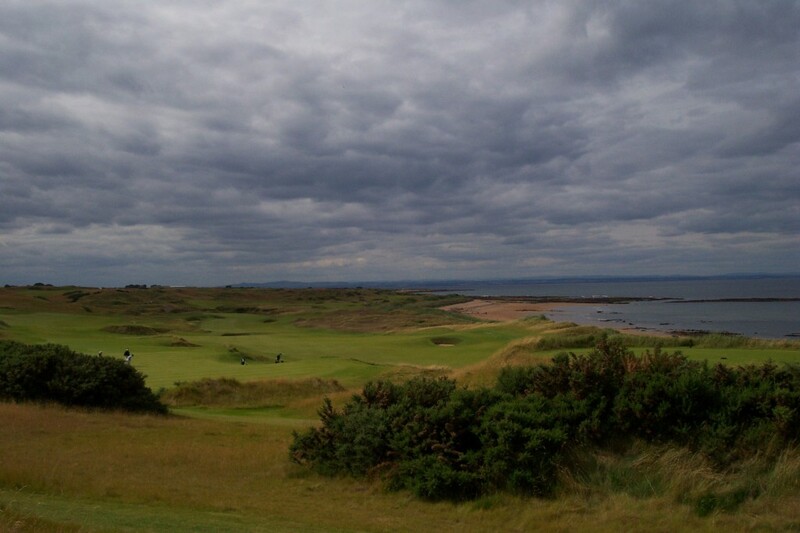 The beauty of the setting makes one’s love for golf comprehensible to the game’s antagonists. For four days, the national flower is the azalea. 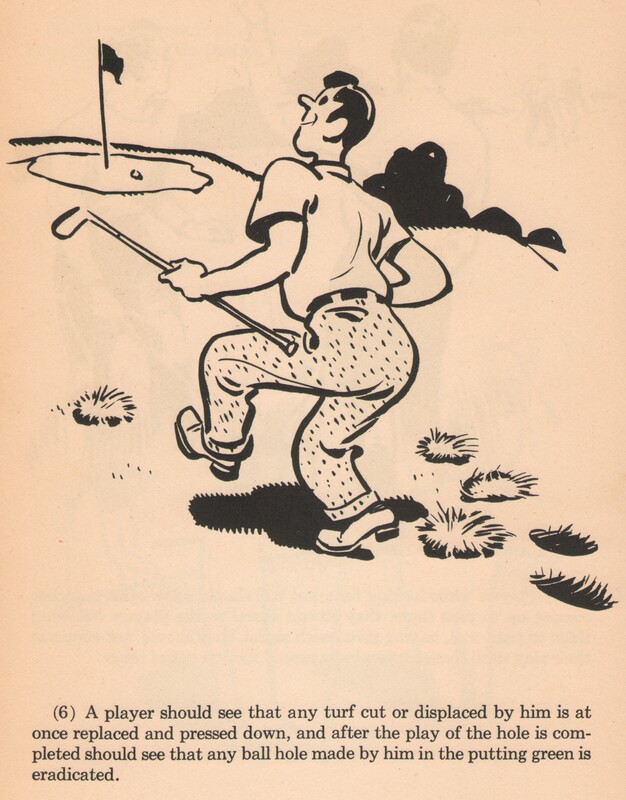 Divot-replacement advice from “The Rules of Golf Illustrated and Explained,” edited by Francis Ouimet, 1948. A few days ago, I pointed out that golfers use the word “divot” to mean both a chunk of turf and the hole the chunk leaves behind. I received a long, thoughtful comment from John H. Jones, who is a professor of English at Jacksonville State University, in Jacksonville, Alabama. (He’s also the author of a book about William Blake, which will be the inaugural selection of the Sunday Morning Group’s book club, if we ever start one.) A couple of days later, he sent another comment, which I’ve reproduced below. Looking back at the OED [Oxford English Dictionary] information about the usage of “divot,” I kept thinking that the first usage of the term meaning “a piece of turf cut out with a club” appearing in 1886 seemed awfully late, given the long history of golf. Of course, the game takes off and gets a great deal of publicity in the second half of the nineteenth century, but still, the written use of “divot” as a “slice of turf” goes back to the sixteenth century. Surely, I thought, the golf application must have come much sooner than 1886. A little more research took me to Peter Davies’s “The Historical Dictionary of Golfing Terms: From 1500 to the Present” (2005), where I found no better historical information for the first usage of “divot” in golf. Davies’s first notice of “divot” is also by [Horace] Hutchinson, coming in the 1890 publication “Badminton Guide to Golf,” where he says, “No golfer is worthy of the name who does not put back his divot” (260), the same year and probably the same publication as the OED’s reference to Hutchinson in 1890. And it also conveys the same sentiment. But I still had a difficult time believing that “divot” as a piece of turf cut by a golf club did not find its way into writing until that late nineteenth century. That may very well be the case, though, because a random look at other golf terms in the OED puts “mashie” and “dormy” in the same time period. “Putter” appears about a hundred years earlier. 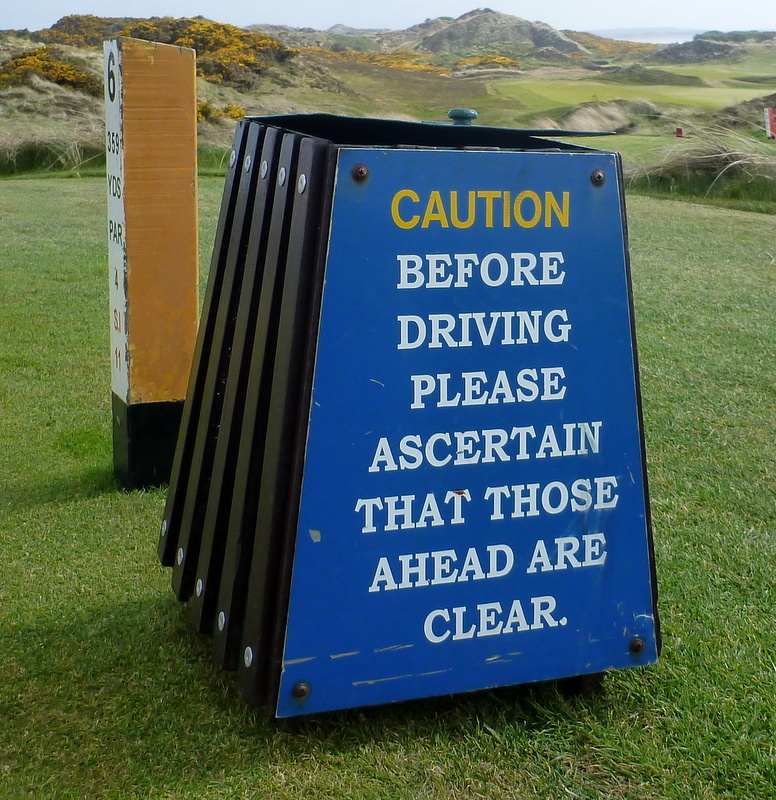 I suspect a more thorough examination would find most golf terms finding their way into writing around the same time. One additional piece of information appears in Davies, however. He gives a second definition for “divot” as “the cavity left by the divot,” and the first usage he notes is very recent, appearing in 1969 in “The Greatest Game of All,” where Jack Nicklaus writes that a ball “ended up in a shallow fairway divot” (160). I wonder if the fact that the “divot” as cavity definition comes nearly eighty years after “divot” as a slice of turf suggests that instead of heeding Hutchinson, golfers over time gradually became more careless about replacing the slices of turf they cut with their clubs, so a new definition was needed. Here’s another thought: early golfers probably didn’t take a lot of divots, since they used flat swings, wooden clubs, and crummy balls, and when they did take divots the gouges were probably hard to distinguish from existing features of the cow pastures they played in. So maybe divot replacement is a modern development, and is mainly the product of late-nineteenth-century innovations in golf equipment, swing technique, and lawn-mowing. I also think it’s sort of interesting that Francis Ouimet doesn’t use the word “divot” on the page I reproduced at the top of this post. 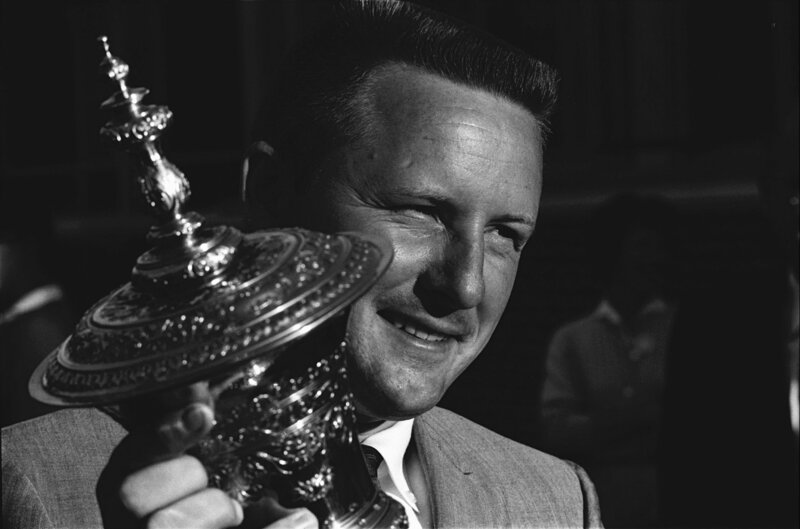 The first tie in Ryder Cup history occurred in 1969. 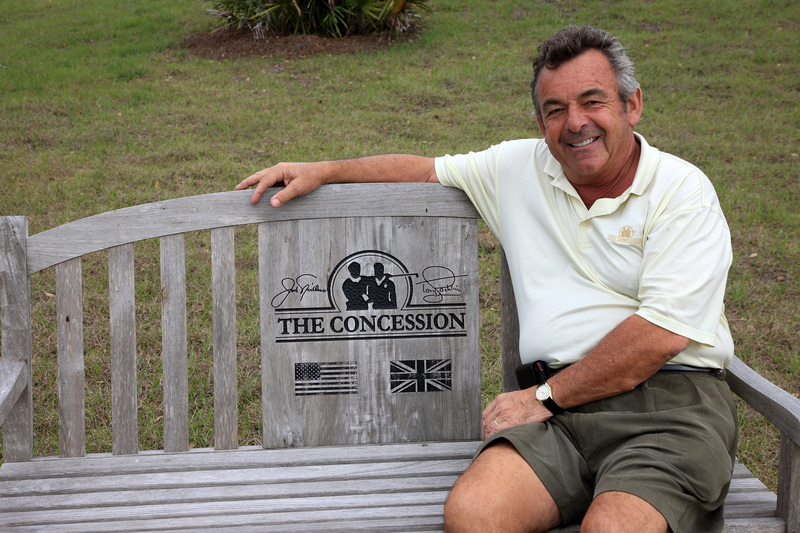 It was secured on the final hole of the final match, when Jack Nicklaus conceded a short putt to Tony Jacklin, halving the hole, halving their match, and halving the Cup. After picking up Jacklin’s marker, Nicklaus said, “I don’t think you would have missed it, but I wasn’t going to give you the chance, either.” Ever since, Nicklaus’s gesture has been celebrated as one of the greatest acts of sportsmanship in the history of competition. On the other hand, it could be viewed as one of the greatest acts of gamesmanship. By giving Jacklin the putt, Nicklaus made the half look less like an accomplishment by the British (who had won the cup only once since 1933) than like a personal gift from Nicklaus. It also left forever hanging the possibility that the reigning British Open champion might have gagged over his eighteen-incher. That’s one of the cool things about match play. Because the United States had won the previous Matches, in 1967, it “retained” the trophy in 1969. Television commentators and others often speak of “retention” as though it were a form of victory, but it’s not. The only possible outcomes in any match, or in the overall event, are win, lose, and draw. “Retention” is just a housekeeping issue: who will hold the hardware till next time if the two teams tie? 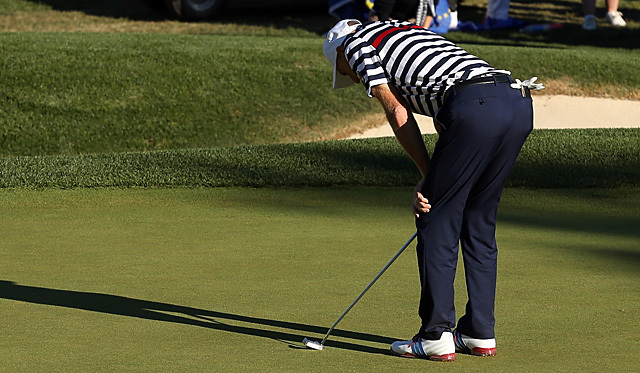 Players don’t go to the Ryder Cup hoping to “retain.” They go hoping to win. Or so I’ve decided over the years, during a number of golf trips abroad: Hit the ground running, and keep running until dinner. I was gratified recently when a doctor who treats sleep disorders, whom I was interviewing for an article, recommended the same thing. To beat jet lag, he said, don’t take a nap upon arrival (my wife’s approach); keep your eyes open until the locals call it a day, or at least until the sun has gone down. That’s what I did this past week, in Scotland, and it’s what I did again yesterday, when I got back home. And I’ll do it again tomorrow, when six of my friends and I take off for a week of golf in Northern Ireland and northwestern Ireland. Yesterday, my last day in Scotland, I had to interview someone in downtown Edinburgh, and I took a taxi from my hotel, which was at the airport. A guy up ahead of us did something stupid, but the taxi driver anticipated it—he told me he could read the guy’s mind—and he honked and said “What an idiot!” almost before the guy himself knew what a stupid thing he was about to do. The taxi driver doesn’t own a car, he told me; when he and his wife need to go somewhere far away, they rent one. Usually, they pick it up at 11:00 a.m. and return it the next day at 11:00 a.m. Sometimes, 10:00. He rents from Arnold Clark, and gets a medium-size car, like a Corsa or a Focus. Once, he got upgraded to a really big car because they were out of medium-size cars, and some of his relatives felt initially that he was putting on airs. Occasionally, when he and his wife go to visit his wife’s mother, who lives near the English border, they will use his taxi, an old-fashioned English black cab, and his wife will ride in the back, “regally.” In fact, when he retires, a few years from now, he may keep his taxi, because he enjoys driving it, and sell just the “plate,” which is their equivalent of a medallion. He and his wife go on holiday every September; last year, they spent two weeks in Greece. That cost £3,000, for the two of them, including air fare. He likes to stay in four-star hotels, but in Greece they stayed in a five-star hotel. He likes to take “all-inclusive” trips—self-catering is too much trouble on vacation—but the Greek trip included only breakfast and dinner. That didn’t bother him too much, because when he’s traveling he eats a lot at breakfast—orange juice, corn flakes, yogurt, porridge, eggs, sausage, bacon, black pudding, haggis, beans, you name it—so much that has to let out his belt when he leaves the dining room. His wife, by contrast, eats nothing but toast and sometimes has trouble making it even till lunch. Keeping the weight off is harder than it used to be, even though he goes to the gym, but what choice do you have? The places he and his wife like to go are: Spain, the Canary Islands, Greece, Majorca. They usually go away in September, after the schools have started up again, because then you can get bargains, but just yesterday he looked into going away in July, too. The best the travel agent could do, though, was £1,000 apiece, all-inclusive, for a week—even in Greece! He thinks it might be possible to do better online, but hasn’t checked yet. At any rate, the travel agent said to come back in July or August and have a look at September then. Next year, for his sixtieth birthday, his wife wants to take him to New York City, where he (unlike her) has never been. He wants to go, but four hours is the limit for him, air-travel-wise. Two hours, two and a half hours? Fine. He doesn’t start to panic if he’s in the air longer, but he doesn’t like it. The best way to fly to New York might be with a stop somewhere on the way—maybe in Iceland—to break up the flight. That might make the ticket cheaper, too, since the flight wouldn’t be direct. He thinks that four days should be enough for New York, and he has been told that the part of New York that he and his wife should visit is midtown Manhattan. He was very glad to hear that I agreed with that recommendation.